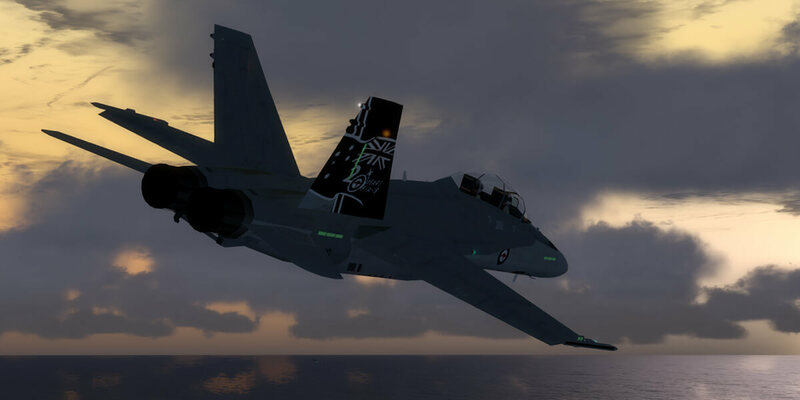 This freeware package contains the NBGAI McDonnell Douglas F/A-18 Hornet, created by Nick Black and converted for P3Dv4 by the team of Graham Eccleston. The converted model ensures that the NBGAI McDonnell Douglas F/A-18 Hornet displays correctly in P3Dv4. Together with the converted models, this package also contains converted textures for all related paints that MAIW ever released. We have converted the textures to DDS format with DXT5 compression and mipmaps for the best possible performance. Read the included readme for more information and installation instructions. Version 1.1 fixes the canopy animation.